The F-Lite 250 cross-training shoe introduces additional cushioning to the forefoot—allowing for a greater diversity in movement and training styles. Like the 235, the comfortable, lightweight design includes a dense, reinforced heel for lifting stability, a flexible construction for unrestricted, multi-directional movements, and 360-degree Rope-Tec™ traction for tight stops-and-starts and superior rope climbs. The version we have is classic black and white with a breathable mesh lining. It’s equipped with a toe bumper for extra cushioning during burpees, and is durable enough to handle daily abuse inside the gym, on the track, or on the rocks. 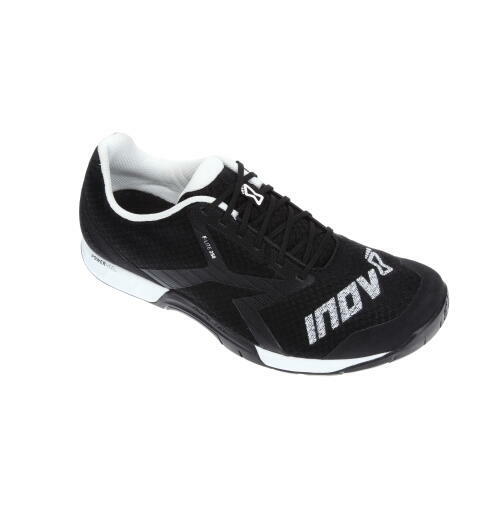 Built to last, and is a great all around gym shoe. 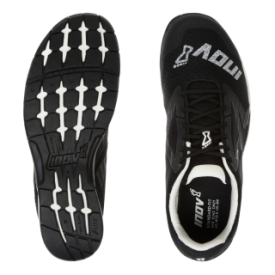 Sprint work, short runs, machines, lifting, and most classes, this will be the shoe to offer to our cross training runner athletes. A true all-around trainer.